The beauty of cruise-touring on small ships is the rare combination of traveling in comfort and with the convenience of unpacking once even as you explore the most remote areas. Small ships can get to places that are completely inaccessible to other forms of transport. Lindblad Expeditions originally pioneered the possibilities inherent in small craft back in the 1980s, but since then the appetite for newer and ever wilder destinations has added many more destinations and climates never dreamed of as cruise destinations in years past. The following cruises engage coasts as different as Turkey’s southern shores, the islands of Indonesia and the polar north in destinations from Greenland to Spitsbergen. Indonesia’s Lesser Sunda Islands lie in a region rife with active volcanoes, coastal villages, megalithic cultures, jungle-clad mountain ranges and dry savannah lowlands, all teeming with wildlife. AdventureSmith Explorations is making it available to American travelers on a new seven-day cruise, Sailing Indonesia: Bali, Komodo & Flores. The cruise operates nearly weekly departures through mid-September using the Katharina, a 14-guest, traditional Indonesian “phinisi” and the 28-guest Ombak Putih, a traditional Indonesian schooner custom built by Buginese ship builders. The classic sailing sloops of the Spice Islands, known as phinisi, carried the cargo of the Indonesian spice trade. All of the Katharina’s cabins have private bathrooms, AC and storage space including a safe. The vessel is manned by a crew of 12 and a captain. The Ombak Putih has 12 cabins. With approximately 400 square meters of public space divided over two main decks, the Ombak Putih offers both open and covered space, allowing for privacy. The cabins offer private bathroom, portholes and AC. Included in the per person double seven day rate of $2,380 are accommodations, all meals aboard the ship, transfers in Flores, non-alcoholic beverages, limited laundry service, guided shore excursions and use of snorkeling gear and sea kayaks/canoes. Children under 12 are charged 25 percent of the cruise fare if they share a triple cabin with parents. Children above 12 will be charged 50 percent of the cruise fare. The price includes such activities as trekking, cultural tours, snorkeling, swimming and nature exploration. Other activities may include beach volleyball with the crew and fishing (a simple spool of fishing line and hooks are available on board). 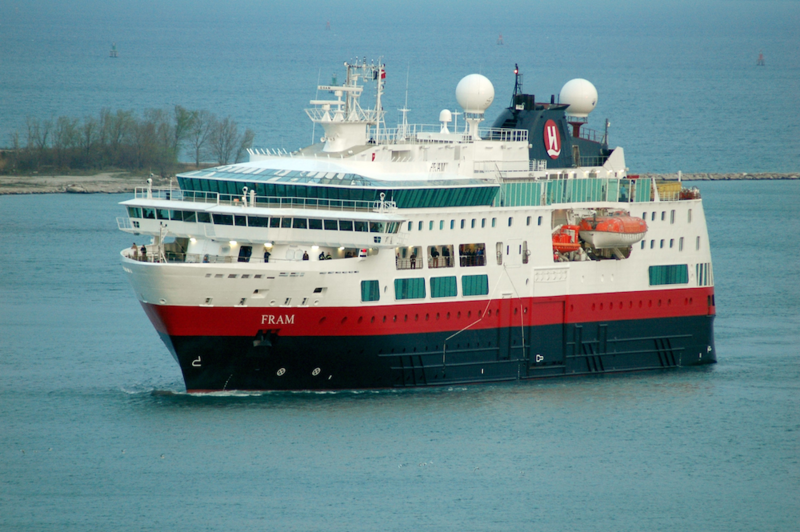 Hurtigruten unveiled several new Summer Expedition Land Excursions on the Arctic in Greenland, Iceland and Spitsbergen. The expedition ship MS Fram provides passengers with a chance to experience really remote polar environments in such intimate ways as camping trips in the wilderness with a polar bear watch; kayak tours among icebergs; glacier hikes on the eternal ice; and fishing excursions in the polar sea. Excursions run from $40 to $410 per person and can be booked through travel agents. Spitsbergen, the largest island in Norway’s Svalbard archipelago, is known for its polar bear population. Participants in the “A Nansen Night – Camping in the Arctic” excursion ($410) spend the night on land, camping in tents and sleeping bags specially equipped for the Arctic looking for polar bear. Or passengers can try a glacier hike ($75) using climbing spurs and secured in teams with a rope. “Fishing and Cooking with the Crew” excursions ($160) in Spitsbergen and Greenland use a small boat to access the best fishing. Participants may join the head chef of the Fram in the kitchen to help prepare the fish, which is served for dinner that evening. Kayak tours available in Greenland, Spitsbergen and Iceland ($160) allow participants to paddle in a small group through the polar sea, past ice floes and icebergs. According to the Turkish Tourist Office, a huge portion of the American travelers who visit Turkey first discovered the country on cruise ships visiting Istanbul. When Turkey was relatively unknown among American travelers it was the port of Kusadasi and the nearby enchantments of Ephesus that really put it on the map. Back then Kusadasi was a Turkish add-on to popular Greek island cruises. Ephesus is just one, albeit the largest of Turkey’s incredible horde of ancient cities. The coasts of Turkey, especially the southern (Mediterranean) and the western (Aegean) coasts are literally lined with the remains of ancient civilizations as well as fine beaches and small modern port towns. U.K.-based Gulet Bound charters the signature sailing craft of the Turquoise Coast, the gulet, on what is widely known as the Blue Voyage. Technically, the Blue Voyage refers to the southern coast of Turkey, between Marmaris and Antalya. Most of the holidays sold by Gulet Bound take place on the country’s western shores or Aegean coast, but the company also markets yacht holidays in Greece and Croatia. The site represents more than 250 gulets in three classes: standard, luxury and VIP. The company offers tailor-made cruises. 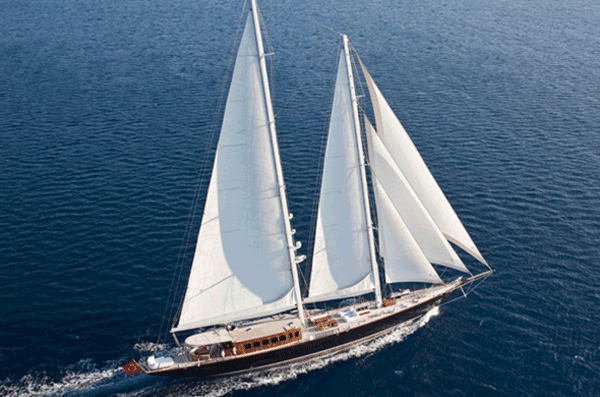 The repeat travel rate for Gulet Bound is 73 percent, which speaks to the company’s satisfaction rate. Rates range from as low as €350 per day for a gullet sleeping 12 passengers to €11,500 per week. If polar extremities give you a chill, you might consider replacing those icebergs with the lime stone karst formations that are so prominent off the coast of northern Vietnam. 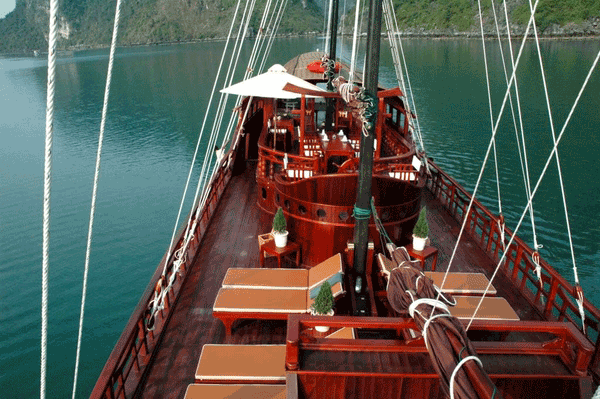 Bangkok-based Backyard Travel is offering a new three-day Vietnam tour that explores Bai Tu Long Bay on board a wooden junk. The bay, known for its limestone islands, hidden lagoons and caves, sits north of the more heavily touristed Ha Long Bay. Along the way, passengers can swim on small remote beaches or use the ship’s kayak to explore on their own. The tour also includes a rowing trip out to a floating fishing village, where travelers can learn all about local life. On the final day, the tour visits the Thien Canh Son Caves.